Despite the prominence of "awkwardness" as cultural buzzword and descriptor of a sub-genre of contemporary film and television comedy, it has yet to be adequately theorized in academic film and media studies. Documentary’s Awkward Turn contributes a new critical paradigm to the field by presenting an analysis of awkward moments in documentary film and other reality-based media formats. It examines difficult and disrupted encounters between social actors on the screen, between filmmaker and subject, and between film and spectator. These encounters are, of course, often inter-connected. Awkward moments occur when an established mode of representation or reception is unexpectedly challenged, stalled, or altered: when an interviewee suddenly confronts the interviewer, when a subject who had been comfortable on camera begins to feel trapped in the frame, when a film perceived as a documentary turns out to be a parodic mockumentary. 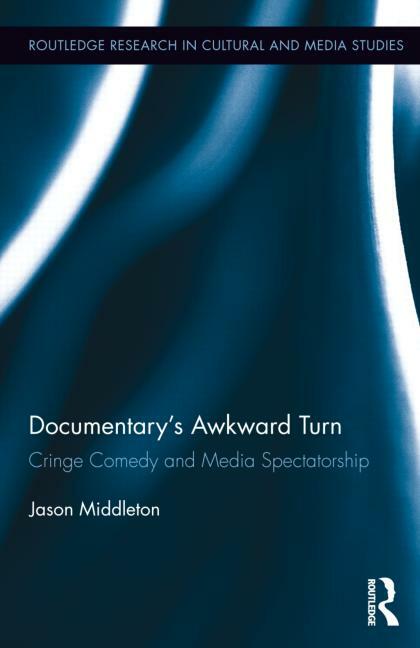 This book makes visible the ways in which awkwardness connects and subtends a range of transformative textual strategies, political and ethical problematics, and modalities of spectatorship in documentary film and media from the 1970s to the present.